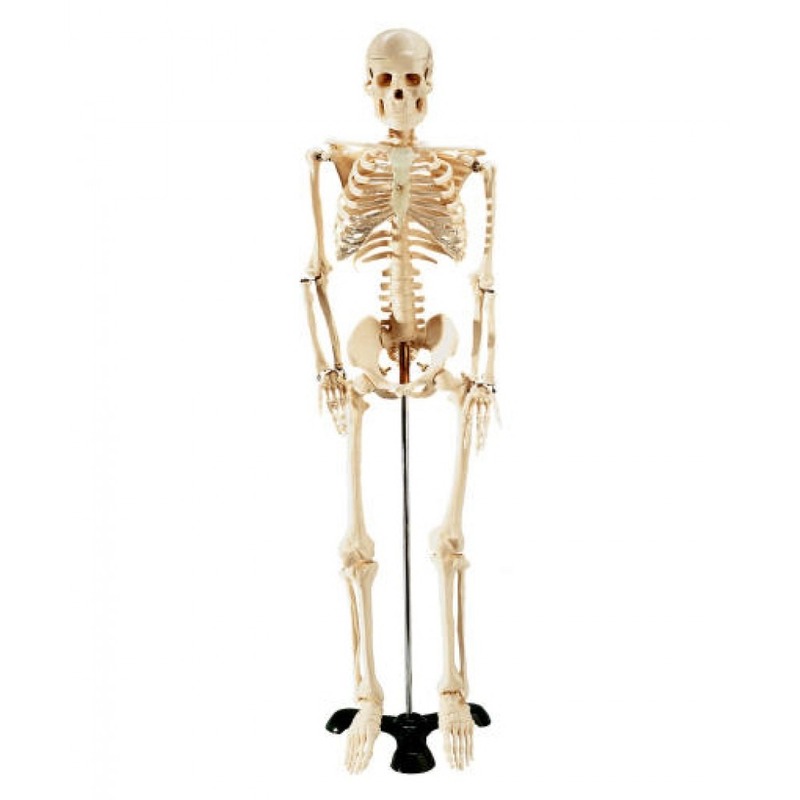 The best-selling Mr Thrifty Skeleton Model is your ideal companion for studying or revising, or as an economical teaching skeleton for your clinic. At 84cm in height, the desktop skeleton model doesn't take up too much space, while being handy for identifying general anatomical features of the skeletal system. The skeleton model features moveable jaw, shoulder, wrist, hip, knee and ankle joints. The skull, arms and legs may be removed from the skeleton but hands and feet are not articulated. The Mr Thrifty Skeleton Model comes with a removable hanging metal stand included.